What if I Have an Audit and Don't Have Receipts? Tax deductions reduce your taxable income, which can reduce your tax liability and even put you in a lower tax bracket. While you don't have to attach documentation to your tax returns, you'll need to retain documentation in case you are audited. 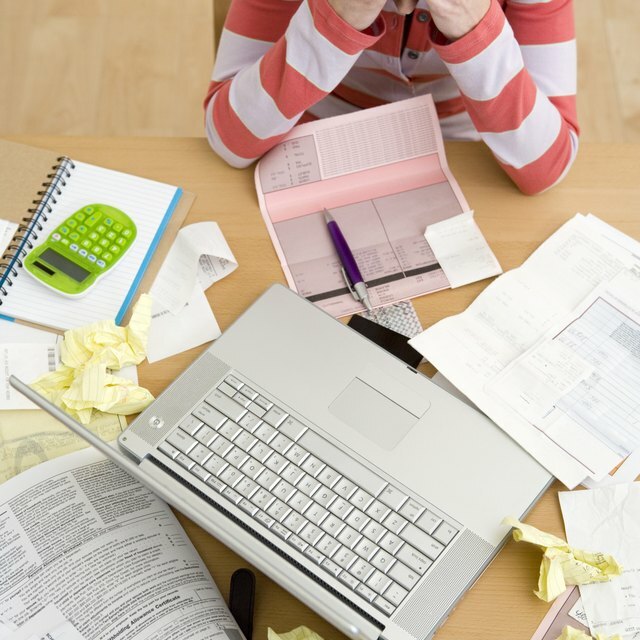 Very few tax deductions are allowed without receipts or bills as documentation. With the exception of some large deductions -- such as high-value art donations, which may require that you attach an appraisal -- you can itemize your deductions without attaching proof to your 1040. However, you'll need to retain documentation of the expense you're deducting to show the Internal Revenue Service if you are audited. Otherwise, you could lose the deduction. While receipts are one way to prove an expense, bills, canceled checks, online payment receipts, bank statements and similar written proof are also acceptable. While charitable donations above $250 require written documentation from the charity, donations of less than $250 don't need this documentation. Instead, you can rely on a canceled check or receipt from the charity. Some charitable donations are known as quid pro quo donations; these are donations you make to obtain a service or product. For example, you might purchase a piece of jewelry valued at $20 for $50 at an auction. For donations of less than $75, you're allowed to determine the fair market value for the item and deduct any amount paid in excess of this. In the case of the jewelry, for example, you'd be able to deduct $30. Some deductions are difficult to keep track of or to prove. For example, if you purchase a tank of gas and then drive 50 miles on work business, a receipt doesn't necessarily verify the expense. Consequently, you don't have to show receipts or canceled checks for these deductions. The IRS allows taxpayers to keep log books documenting such expenses as mileage, work-related travel expenses and gambling losses. You don't have to have receipts to prove this expense, but you'll need to be able to verify it via your logs. Can I Use Statements if I Lost My Receipts for Taxes? How Long Do You Keep Receipts for Tax Purposes? How Long Do You Keep Carbonless Checkbooks? Can I Deduct Car Payments as Part of Educational Expenses? The Cohan Rule arose from a federal court case in which a taxpayer was audited but could not prove his deductions. Cohan, the taxpayer in question, testified under oath that his deductions were legitimate, and the court accepted his claims. This ruling established a loophole that allows taxpayers to testify that their deductions are legitimate, but acceptance of the deductions is dependent upon your ability to convince a judge or jury. The rule won't protect you from an audit, but if the IRS contacts you with a problem about your returns and you don't have backup documentation, you can ask about providing an affidavit or similar testimony per the Cohan Rule asserting that the expense was legitimate. The IRS can generally audit you up to three years after you file your return. If, however, the IRS discovers fraud or a large error, it can go back six years. Retain your documentation for a minimum of six years. If you claim a business asset, hang onto your receipts or other documentation for as long as you have the asset plus three years. KFMR: Contemporaneous Records -- Are You Keeping Up? Forbes: What if a Taxpayer Doesn't Have Receipts?